UK manufacturer Rotary Power is working in partnership with the CEDEPA plant, based in Spain, which tests and prototypes solutions for the processing of polyurethane panels. Located in Navarre, the Research and Development centre for panel innovation was set up by Dow Chemical Co. and Italian machinery manufacturer SAIP Equipment, to test materials and equipment solutions for use in the construction industry. Rotary Power’s C range pump has been commissioned to support the testing at CEDEPA, which stands for centro de desarrollo del panel en continuo or the continuous panel development centre. 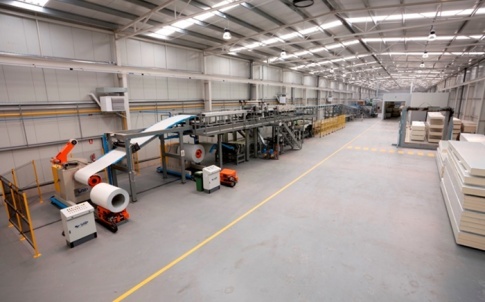 The centre showcases a complete, industrial-scale production line for the manufacture of sandwich panels. Headquartered in the UK since 1968, Rotary Power manufactures hydraulic motors and pumps from its factory in the north east of England. The company moved into its current premises six years ago following a large scale investment into new machinery, in order to further develop its range of polyurethane pumps and heavy duty motors.